April 20 is Scott Sherman's 38th birthday. His gift to himself? Quitting his 9-to-5 job for a year. Even though Sherman is on track to retire early — he anticipates reaching financial independence by 48 — he wants to start living on his terms now. So he's taking up to a year off to live at a slower pace, volunteer, spend time with his kids and consider his next move. 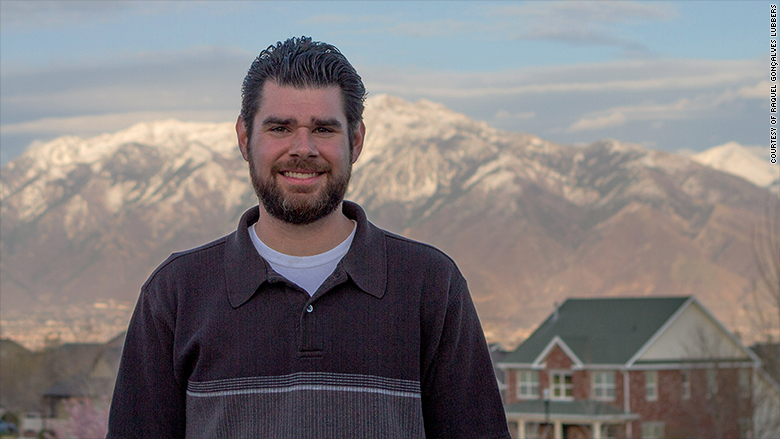 "I could stay doing what I'm doing now and be comfortable and probably bored," says Sherman, who works in IT administration at a university in Utah and writes about his journey toward financial independence on his blog. "Or I can do something scary, spend a little money and figure out how to spend eight hours a day doing something I'm really excited about." Here's how he arranged for a work-free year and what he's learned from the community of people he's found who are also seeking financial independence. Sherman and his wife didn't think too much about finances, although they knew they were fortunate that both earned good money working full-time, and his wife had manageable student loans of $15,000. "We were paying bills," Sherman said, "and we had some money left over, we went on vacation, but it was like: What am I supposed to be doing with my money?" One of Sherman's early efforts at being more intentional with his money resulted in a painful wake-up call. He was checking in on an old Roth IRA, a tax advantaged retirement fund, to which he had deposited $100 a month for two years. He assumed that the money was invested, and after a couple years of strong growth in the stock market, he figured he'd see significant gains. "I went and looked at it and saw my $2,400 was sitting in a money market account," Sherman said, referring to a kind of savings account that earns very little interest. "I was like, 'Wait a minute ... I just lost two years of the biggest bull market because I wasn't paying attention?' That's when I got angry." "Here I was thinking, 'Can we cut our water use or electric use to save $20 bucks a month here or there?'" he said. To save money, Sherman looks for "quick wins," like skipping out on the newest tech gadget, and going with a mid-range phone. He keeps the house a little warmer in the summer and cooler in the winter than a typical family might ("But it's not like we can see our breath.") He opts for a $24-a-month phone plan and gets a quote from his car insurer annually to see if competitors can beat it. "Not everyone can do this," he says. "Not everyone should do this. We have made specific decisions aligned with our values on a daily or monthly basis that will be different than other people." "For people who think I'm only able to do this because I'm sitting at home all day and eating beans, that's not the case at all," says Sherman. The family goes out to eat (he exclusively asks for restaurant gift cards for birthday and holiday presents to use throughout the year) and travels for vacation several times a year (he works his travel hacks using points on his credit cards). "But I don't own a boat, or RV or four-wheelers or have expensive hobbies." "I transfer money between my checking account and savings accounts set up for expenses I have coming up," he says. "So I know I have a bucket for that, whether it is tuition, vacation, car insurance, Christmas, emergency fund." But family life can be expensive. Sherman says they spent $100,000 in 2017. That's without car payments or his wife's student loan debt, which they had managed to pay off the year before. Their major expenses were housing ($24,750), college tuition ($14,250) and childcare ($7,800), as well as groceries ($8,000). In addition to a five-year-old daughter, Sherman also has two step sons who are 19 and 21. The older son is in college (he receives discounted tuition because of Sherman's employment at the university). This put Sherman in the financial nightmare of paying for both a college education and full-time child care at the same time. "You know college will be expensive," says Sherman, "but day care can be as expensive as college. If you're not prepared for it, paying for child care can put you behind the eight ball for years until you hit kindergarten." The current year presented an ideal time for Sherman to take a year off because his older son only has one more semester in college, his younger son's college is covered by scholarships, and his daughter will be entering free public school in the fall. "The last few years were supposed to be our most expensive years and now instead of getting out of them and creeping into lifestyle inflation, we are working to put money back into the opportunity fund." Walking away from his job also means he's leaving behind a generous pension plan at the university, which contributed 14% of his annual salary on top of his pay. And his plans after this year off? 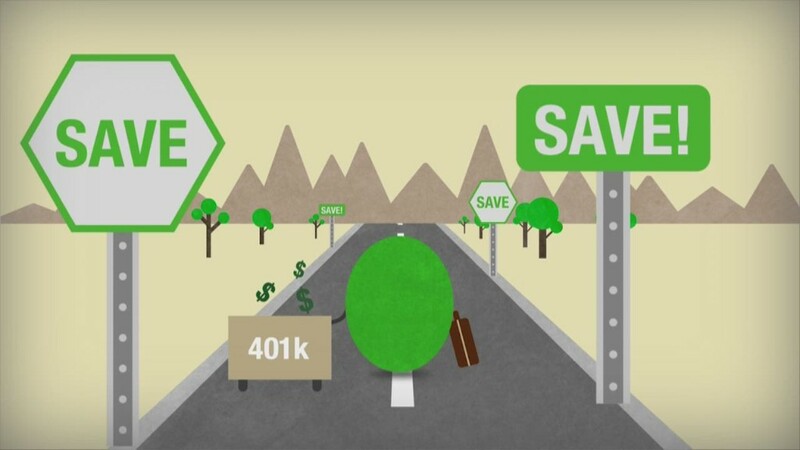 He'll need to find another paying situation, even if it isn't a standard 9-to-5, to keep saving for retirement. "I'm not in a position to quit working for good," he says. "For so many people who have an average or above average income, if this is important to you, you could figure out how to do it." Correction: An earlier version of this story said Sherman's younger son will be entering college. He is currently attending college.